Experience life at its peak in the heart of the city’s trendiest and most elite neighbourhood with Capitol TwinPeaks which presents luxury apartments in Sri Lanka that feature pure elegance with triple views of the ocean, Beira Lake, and the city. At Capitol TwinPeaks, it’s more than just a home, it’s a lifestyle! The plethora of high-end facilities and multifunctional lifestyle services gives you ultimate comfort and convenience to enjoy life just the way you want it. 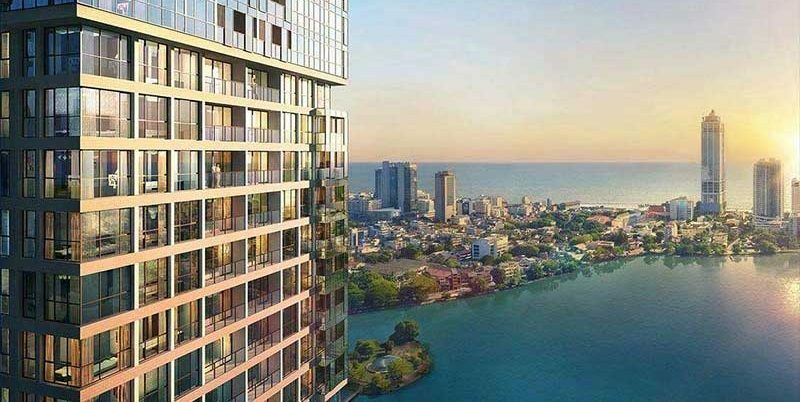 Tipped to be one of Colombo’s most central apartment blocks, Capitol Twin Peaks is located in the heart of the city in an elite neighborhood, with proximity to prestigious shopping malls and other conveniences, in addition to a beautiful entry point with the lake frontage of Beira Lake. The facilities provided by Capitol TwinPeaks include a café, sky lounge and spa, an infinity pool, kid’s play room and a business center, catering to the on demand needs of modern living. Each facility offered within this Luxury apartment complex is designed to suit and accommodate every member of the family. Expected to be completed in 2020, Capitol Twin Peaks consists of over 400 apartments, featuring 2, 3, 4 and 5 bedrooms, 2 basements, and 6 floors of parking. Furthermore, it will offer residents quick residential amenities through easy access to variety of shops, restaurants, medical centers and schools, while also offering hassle-free access to central points in the city such as the World Trade Centre, Colombo Port City, Colombo Racecourse, Viharamahadevi Park, Beira Lake, Park Street Mews and the Lipton Circus. Moreover, the latest projects by Capitol developers is set to elevate the prevailing real estate standards in the country, by emerging as a lucrative investment opportunity to even the most discerning investor. Other recently completed projects by Capitol Developers such as Capitol 7 and Capitol Elite, have witnessed approximately 75% capital appreciation from the time of booking till completion. Capitol developers’ state that once the project is completed in 2020, customers will be able to expect the same value of appreciation for their investments. Joining hands with Sanken Construction, Capitol Developers are set to render some of the most iconic developments constructed in the country. The capitol project which stands tall at height of 182 meters from ground level is able to withstand extreme nature conditions and some of the significant construction features include high ceilings, full-glass windows, functional layouts, a Sky lounge sunset bar and a sky bridge. With the support of latest technologies and techniques, Capitol Developers ensure utmost safety and comfort for its residents. There are many advantages for investors purchasing apartments in Capitol TwinPeaks. In fact, all properties developed by Capitol Developers are contracted to a leader in the country’s construction industry, Sanken Construction (Pvt) Ltd., which guarantees timely delivery of the apartments to buyers along with the hallmark construction quality of the Sanken brand. Furthermore, Capitol TwinPeaks, the seventh venture by Capitol Developers, is tipped to be a noteworthy investment in the heart of one of the city’s most prestigious neighborhoods.